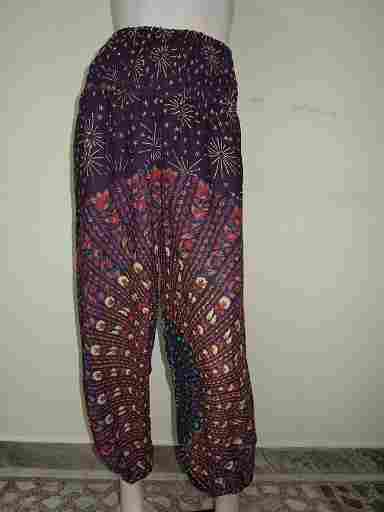 These lightweight 100% rayon hippie harem pants are hand blocked printed and very comfortable. 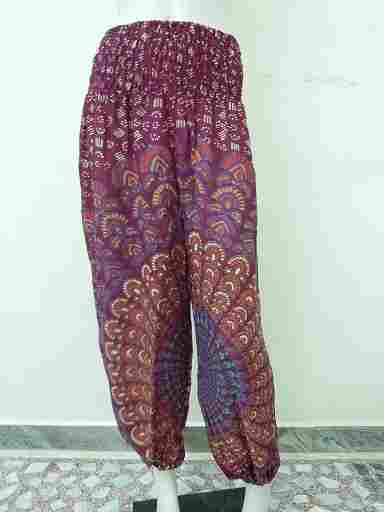 With an elastic waist and drawstring these hippie pants have a waist that opens to 40", and a length of approximately 37", and are considered one size fits most. 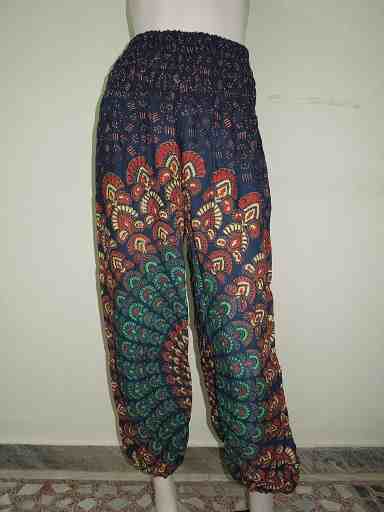 Great for yoga, the beach, festivals, or just lounging around. 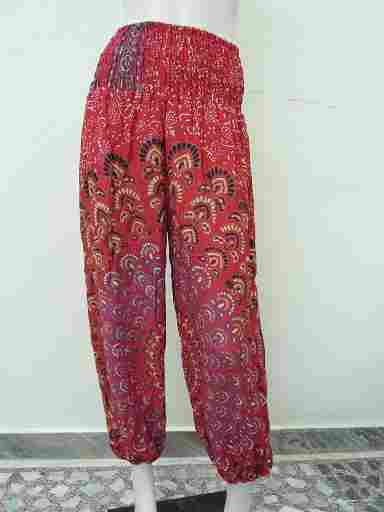 Available in Navy, Red, Purple, and Maroon.